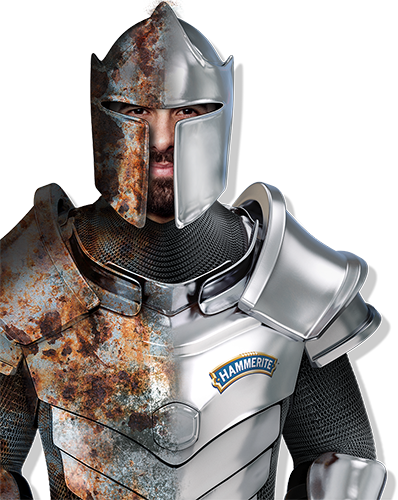 Why choose Hammerite? Best in class for over 25 years! Strong and striking, metal enriches our world and our homes. Which is why we believe it needs world-class care. Neglect is not in our vocabulary. For over 25 years, we’ve intelligently mastered the formula for protection, resulting in the range of paints that people prefer. From railings and radiators to garden gates and garage doors, whether a full metal restoration job or just a touch-up, we’re famous for the perfect finish – first time, every time, in no time. Metal is our top priority. And though you’re happy spending time on protection, you want every minute returned with years of peace of mind. So rest assured we’ll keep making it easier so you’ll never stop enjoying The Ultimate Metal Protection. 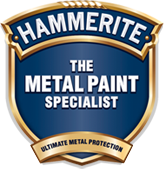 Hammerite protects and rejuvenates metal and is formulated to offer 8 year corrosion protection. Using a unique alkyd technology, the special metal paint is formulated to form a touch barrier that sheds moisture to provide long lasting protection. Hammerite Direct to Rust Metal Paint can be applied directly to rust with no need for a primer or undercoat due to its strong adhesive properties. Because of its optimised viscous properties it ensures application of a substantial barrier coating keeping oxygen and water away from the substrate and ensuring excellent coverage of sharp edges without running or sagging. We are the creators of the category and have maintained our leadership for over 25 years. Through our heritage we can truly say we know metal better than anyone. However, we don’t stand still – we are committed to extending our knowledge still further.